From courier to computer sales to client lunch and catering, our 16th annual awards celebrate the best in Bermuda’s business world. It’s where we go to buy our preschoolers their first pencil, our teenagers their first laptop, our partners a new printer and our new employees a desk chair. AF Smith literally has everything you need to kit out your office—be it a huge corporate one or a small nook in your home. And our judges determined they were the best for their extensive range of products, excellent customer service and their ability to handle any job, big or small. Work from home but need to meet a high-end client? Need a space big enough for an AGM and your tiny office just won’t do? Need extra space for a large training session? We have a “suite” solution for you! Forgive the bad pun, but our judges insist the versatile meeting facility in Mill Creek is the best place to accommodate an array of business needs. The turn-key offices are open 24/7 and come with high speed Wi-Fi, state-of-the-art telephone systems, personal administrators, printing and mail services and a Suite Café with all the coffee you can drink. Whether you want to admit it or not, computers are an essential part of our very existence now and when you need a new one, you need it yesterday. When it comes to computer sales, the price, knowledgeable sales staff, extensive range of product offerings and free, same day islandwide delivery at RedLaser simply can’t be beat. They were a hands-down, unanimous winner once again this year in a category that they consistently dominate. Computers are one of those things that everyone uses but no one knows exactly how they work—especially when they stop working altogether. To save your sanity, and that major project you’ve been working on, our judges recommend the IT experts at Fireminds. The international technology consulting firm boasts fully managed IT services for 24/7 protection against viruses, data backup solutions, software configurations and installations and lots of other computer-based stuff we are all clueless about. Our judges also wanted to give a special honourable mention to Apple certified MAC technician and freelance IT consultant Sam Roberts for his excellent customer service. Their name describes the company perfectly, and when you need HR services, naturally you seek out the experts in the field—the highly qualified team at Expertise. From executive searches to payroll outsourcing, immigration services to financial consulting, there isn’t a human resource service they don’t provide. Yes, we are well aware that 99 percent of travellers these days book their flights on any number of online travel sites. But what if you have to move 20 colleagues to a conference in Texas and arrange flights, hotel and transport for them all? For complicated matters of corporate travel, our judges recommend the experienced team at Travel Edge to organise every detail so all you have to do is remember your passport. And a toothbrush, of course. When the stakes are high, only the most exceptional legal services will do and for that our judges choose Carey Olsen. With corporate services ranging from intellectual property to regulation and compliance, competition law and corporate restructuring, the internationally diverse firm—they have nine international offices with 50 partners and 200 lawyers—can handle any legal challenge your business will face. Balancing the books is best left to the pros, and the best in the business is ABS Limited. Lead by chartered accountant Trevor Boyce—who received high praise in our judging process—ABS has several experts on the team who are proficient in all bookkeeping and accounting services for small- to medium-sized businesses. With happy clients like Gorham’s, Swizzle Inn and A.S. Cooper, they have a proven record of success—and now another award to show for it! Trusted to clean both the National Museum of Bermuda, with its priceless paintings and rare artifacts, and the Reefs Hotel where efficiency and perfectionism is required, Pro-Tone continues to be one of Bermuda’s leading commercial cleaning companies. Of course, with a 35-strong member staff, they also do residential, construction cleanup, windows and carpet cleaning and more. We especially love their commitment to creating a healthy office environment by cleaning and disinfecting with only high-quality, eco-friendly products. With Bermuda being an isolated island housing major international businesses, quality courier services are essential. For their excellent customer service, speedy delivery/pick up and overall reliability, our judges chose DHL as this year’s best courier. With DHL Express Service Points at Ferry Reach, St. George’s, and on Burnaby Street in the City of Hamilton, they can get your package to anywhere and sent from anywhere in the world. OBMI is an international architectural/interior design firm with offices in Florida, Antiqua, British Virgin Islands, Cayman Islands, Trinidad & Tobago, Saudi Arabia and Spain. Locally, the office boasts a strong team of talented designers that regularly construct award-winning projects for some of the most impressive residential and commercial properties on island. 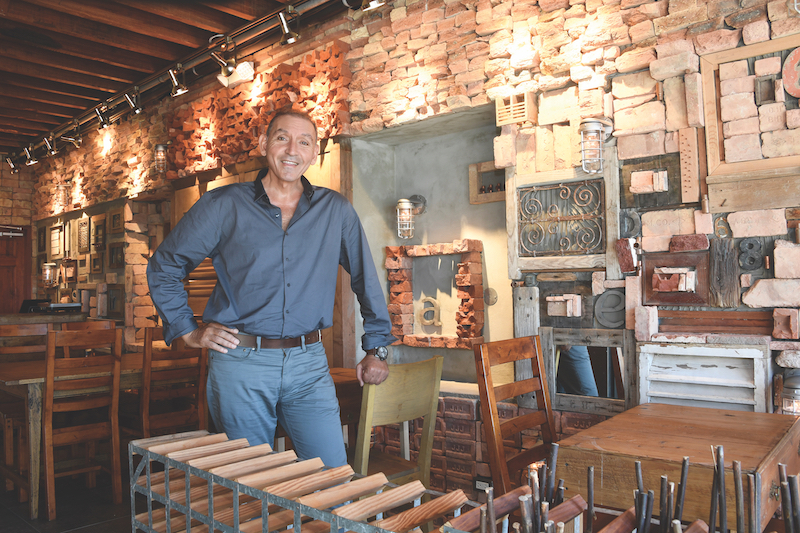 They are the go-to company for incomparable quality interior design, say our judges. Whether you are a start-up in need of your first office space or an expanding company in need of a much bigger one, our judges recommend Coldwell Banker Bermuda Realty as the go-to for all your commercial real estate needs. Their large staff of seasoned professionals make the transition smooth for all parties so you can get on with the business at hand. When the new CEO needs a spectacular home to entertain in, or twenty temporary workers need accommodation for a three-month project, the most reliable real estate team is at Rego Sotheby’s International Realty, say our panel. With a special mention for rising star Ben Rego, the team there are consistently good at fulfilling all manner of corporate real estate needs. Built in 1906 and recently renovated, Rosedon hotel is the perfect blend of historical charm and modern convenience that a business traveller needs to make their visit both memorable and successful. 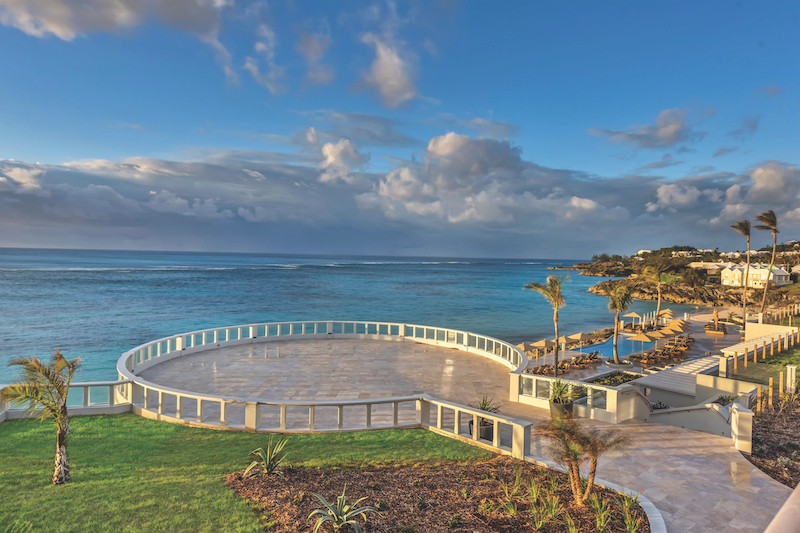 Within walking distance to Front Street and with bicycles and Twizys available, getting to meetings and business dinners is a breeze—even though you’re more likely wanting to lounge by the heated pool or relax in the tropical gardens sipping a rum swizzle. Headed up by managing and creative director Anna Laura Hocking, Strata-G is a progressive and talented design agency with an impressive list of clients in various local industries from food to retail, health and financial services, tourism and charities. Our judges say they are the best local agency for all your marketing and advertising needs due to their extensive list of services which include website and print design, signage and social media, public relations, content marketing, brand development and more. Consistently creating award-worthy work seems to be what the team at Cosmic does best. 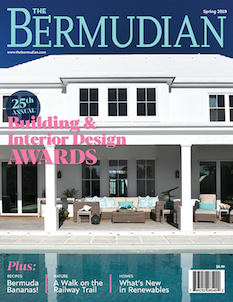 Aside from their plethora of web designer awards from The Bermudian magazine over the years (this year makes 10! ), they are also receiving major international recognition for their work—including a 2017 WebAward for Outstanding Achievement for “Best Architecture Website” that they won for the new BotelhoWood Architect website. Considering a website is the modern version of a business’s shop window, quality is key to keep the customers coming in. Another one racking up the awards is creative design studio SJD World, owned by graphic designer Stephan Johnstone, who along with teammate Anna Terceira has been steadily creating great work for clients such as Grotto Bay, Island Tour Centre, Endeavour Community Sailing, the City Food Festival and the new Nicknames book by Ras Mykkal. The team were also responsible for the highly praised Graphic Design Showcase held at the Bermuda Society of the Arts which opened on July 27th. 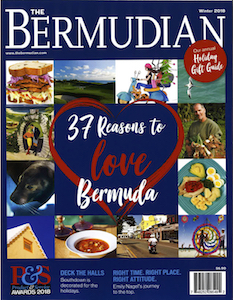 From business cards to annual reports, when it comes to quality products, exceptional customer service and a quick turnaround, our judges voted Bermuda Press as the best in the business. We also love their eco-friendly print options like recycled paper, soy- and vegetable-oil-based inks, alternative size printing and digital proofing that prevent waste and reduce the impact on the environment in comparison to standard printing. With their specialist printers, Bermuda Blueprinting can print almost anything on almost anything—from simple foam core mounted temporary signs, to vinyl banners, tents, floor graphics, sandwich boards and permanent displays. Most impressive, however, is their large format printing and installation of signage such as the giant Flora Duffy mounted poster on the side of Seon Place for the WTS Bermuda triathlon series earlier this year. How do we feel without coffee? Depresso. Whether you grab and go with a cup from your favourite Buzz location or mingle over a freshly brewed cup at the Burnaby Street restaurant, the coffee (a.k.a. survival juice) from Devil’s Isle is sure to get your day started off right. They use only organic, fair trade and 100 percent Arabica beans that are hand roasted and blended locally to ensure quality and freshness. As well as their amazing coffee, Devil’s Isle is known for their scrumptious breakfasts, and with a great atmosphere both inside and al fresco, it makes for a perfect spot for a breeze breakfast meeting. The menu features classics like omelets, pancakes and French toast along with signature dishes like huevos rancheros, steak and eggs, chilaquiles and a breakfast quiche. Great for a group, the menu has a variety of dairy-free, gluten-free, paleo and vegetarian options so everyone can enjoy their meal, and hopefully the meeting, too. Our judges all agreed that the intimate atmosphere, exemplary service and spectacular menu all combine to make Barracuda Grill the best restaurant to host a client lunch. Delight them with local favourites like fish chowder and wahoo tacos or impress them with unique offerings like Korean fried calamari and wagyu beef sliders. And with multi-award-winning bartender Ryan Gibbons crafting up creative cocktails in the bar, we can at least guarantee a memorable lunch experience for your clients. Getting the deal signed? Well, that’s up to you! Traditional Middle Eastern delights—shawarmas and shish kabobs and kormas, oh my!—meets western favourites like fried fish, BBQ chicken and mac n’ cheese at Bermuda’s best new take-out restaurant, Casablanca. It’s the perfect place when you need something quick and easy but don’t want to compromise on quality or flavour. We guarantee your coworkers eating their soggy sandwiches will be jealous. From boot camps to spinning, martial arts-based cardio classes and more, the multitude of high intensity lunchtime fitness classes at Studio One are sure to get your fitness into high gear in no time. 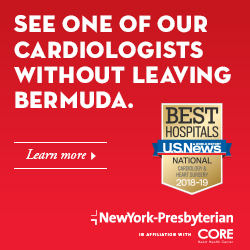 They boast over 7,000 square feet of studio space, 30 spin bikes, all the weight machines and free weights you could ever need and Bermuda’s only Cardio Cinema. They also have alternative classes like trampoline and pole fitness along with fun dance-based classes, too, like Zumba and hip hop. Whether you need food for an important business meeting or catering for an entire conference weekend, when there is no room for error contact Fourways Catering said our judges. Consistency, quality and perfectionism sum up the experience of working with the highly experienced team who ensure your event is the most deliciously memorable one ever. Even before the spectacular renovations, the Marina Nights at the Hamilton Princess & Beach Club has always been the mecca for weary businessmen and women on Friday evenings. There is just something that happens when you loosen your tie and sip a gorgeous cocktail while mingling with a mix of friends and coworkers overlooking Hamilton Harbour as the sun sets that just makes the start of the weekend that much better. 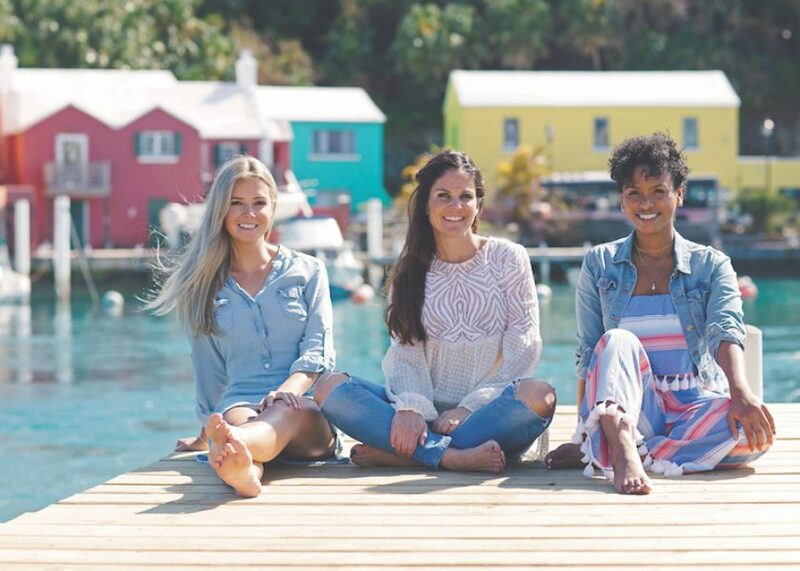 Considering our size, Bermuda has an impressive number of award-worthy restaurants so this was not an easy category for our judges. 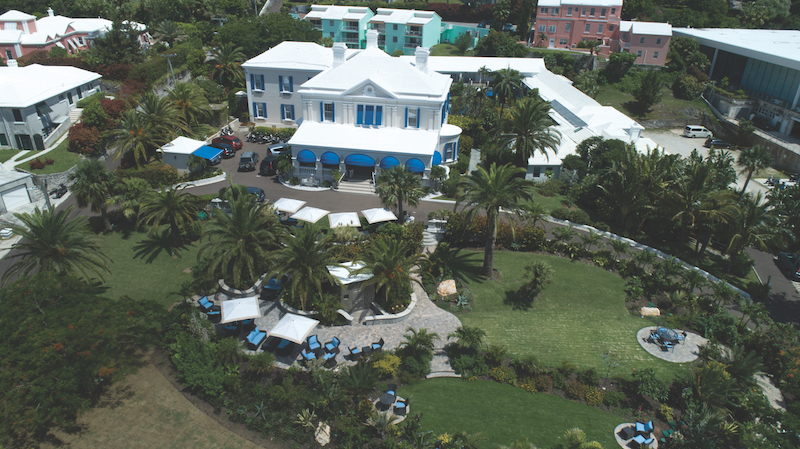 However, one stood above the rest: Waterlot Inn at Fairmont Southampton. 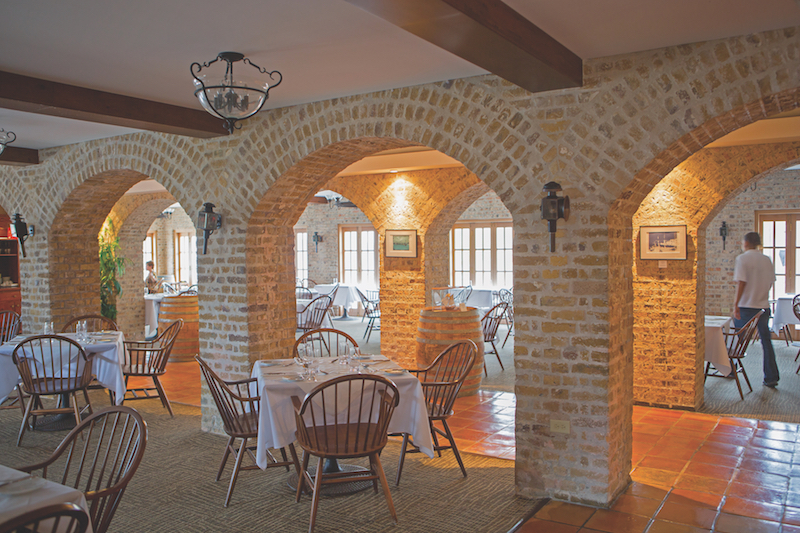 It has history (it was built in 1670), charm (Mark Twain and Eleanor Roosevelt dined there) and a plethora of awards (including several Best of Bermuda, AAA Four Diamond and Wine Spectator awards) proving how it is the best of the best for fine dining in Bermuda. Historians can trace the origins of floral arrangement back to 2,500 BCE Egypt where flowers were used to decorate homes as well as in religious ceremonies, processions and burials. Not much has changed, and we still today use floral arrangements to enhance our environments—whether it be for the front desk at the office or on the tables at a major company dinner party. And for the freshest and most inventive arrangements, our judges recommend the talented designers at Flowers by GiMi. 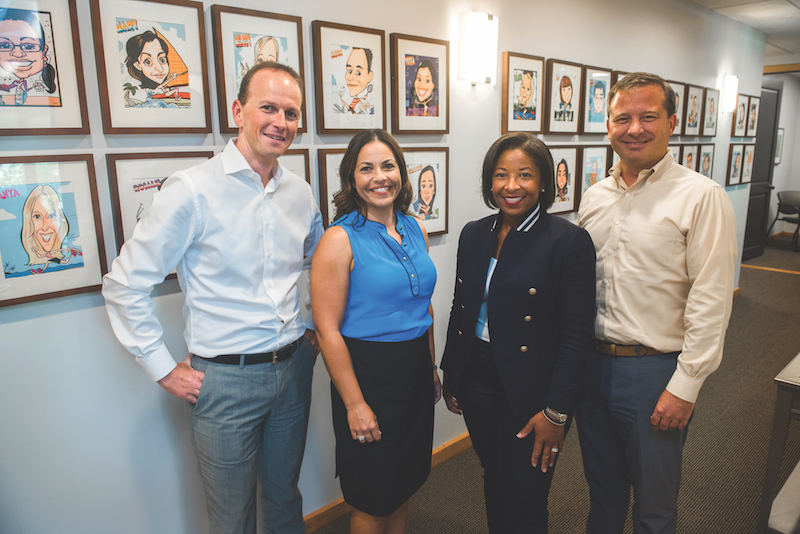 From intimate private dinners to huge corporate events, the dynamic duo of Selange Gitshner and Matthew Strong of Dasfete have been making a name for themselves in the corporate event planning business since 2015. Dedicated to sourcing locally and producing sustainable events, Dasfete has an incredible eye for detail and the simple yet sophisticated way they incorporate local flora is remarkable. They are sure to make your next event a huge success. Located in Tucker’s Town, The Loren is everything you expect it to be—first class, exquisite dining, exceptional service and a view of the south shore like none other. For an event venue, the hotel is the best on the block with seven different spaces indoors and outdoors for any size event. There is an intimate boardroom, a private rooftop dining area, the Pink Beach Club for al fresco dining, the sophisticated Marée restaurant for exquisite fine dining, the Bar Marée for a casual lounge vibe, the pool deck for a laid-back cocktail hour and the Disk—a circular event space overlooking the ocean that can accommodate up to 200 guests. With so many spectacular venues in one, it’s no wonder it was an easy choice for our judges this year. When you want to show your clients the absolute best Bermuda has to offer, sail away from land and show them our island’s true beauty aboard ZARA. The 77-foot luxury catamaran is perfect for both a sunset sail and private dining experience and a fun day at sea complete with swimming, snorkeling and paddle boarding for up to a maximum of 75 guests. We promise being locked in a room with a bunch of your coworkers can be fun! At Escape Room Bermuda you have sixty minutes to work together and figure out how to escape a prison cell, avoid the Mind Control Police, find a cure for a global pandemic, recover missing gold, save the planet or infiltrate an official’s office and obtain the missing data without getting discovered. Great for team building during and office bragging rights after, up to 32 people can play simultaneously—so get the whole team together and have some fun. Long gone are the days when you had to take an entire day off just to relicense your car. Today’s TCD is a far different experience with an efficient walk-in system and an even easier online one. They boast everything you could want in a storage facility: secure, climate-controlled units, easy drive-up access, a well-lit facility and friendly staff. Located on Harvey Road, EZ Self Storage is our choice for best storage facility for all that and more. With month to month rentals and a range of different sized units, it’s ideal for storing everything from excess files and documents to office furniture during renovations. Little in this world is more powerful than a mother protecting her children. 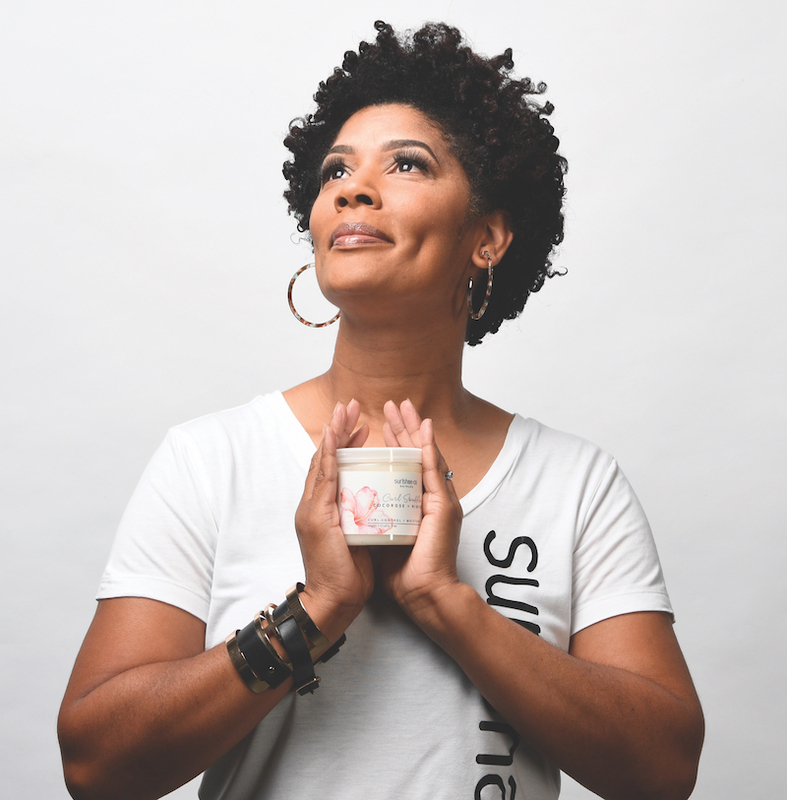 And when Charmaine Russell’s 3-year-old son was suffering with extremely dry cracked skin, she turned away from harsh, toxic chemicals and created her own recipe for an all-natural healing cream that worked like magic! Soon she was sharing it with her clients at her hair salon (she’s a stylist and owner of CN Hairloft, based in Somerset) and developing more natural products for hair and skin. And just like that Surishae+Co was born! KEMH, National Museum of Bermuda, Rubis, Master’s Limited and Washington Properties are just a few of the local businesses that have already reaped the rewards of going solar with BE Solar. By reducing operating costs and their reliance on fossil fuels, these companies have both improved their bottom lines and done their part to help the environment—a win-win in our books! Completely customisable and built to withstand Bermuda’s environmental conditions, the solar panels come with an impressive 30-year warranty guaranteeing your investment will be well worth it in the long run. Our judges wanted to give a special shout out to Conor Outerbridge and Adam Johnson, co-founders of the Marooned Ocean Foundation charity who aim to raise awareness for ocean conservation, promote clean-ups and increase education in Bermuda schools. 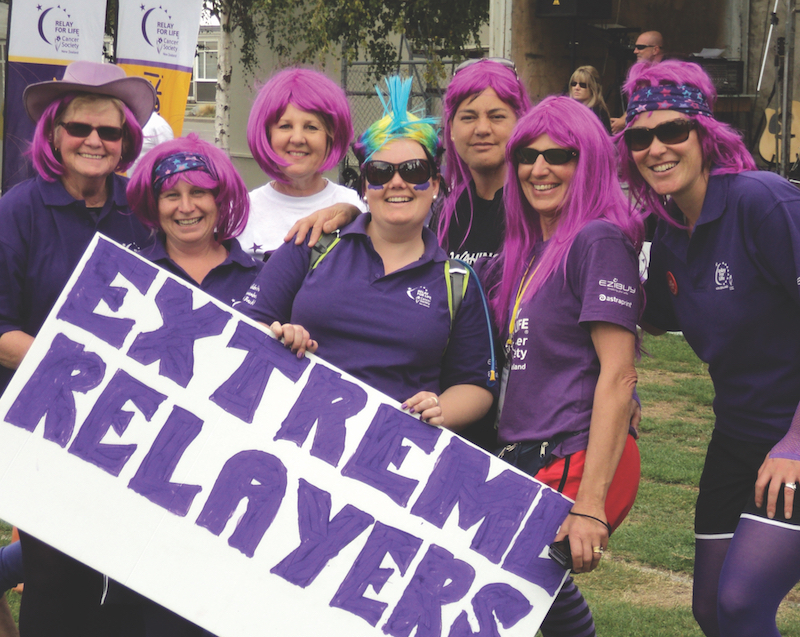 On a mission to raise awareness and funds to support cancer prevention, detection and access to treatment, Relay for Life Bermuda has just celebrated its fifth anniversary event and once again smashed their $500,000 fund-raising goal. With teams participating in a 24-hour, relay-style walk around the track at National Stadium, participants and spectators join to remember loved ones who suffered with cancer, celebrate survivors and caregivers, camp together overnight and enjoy fun activities and attend moving ceremonies. Don’t miss it next year! This summer, every $40 you spent on gas with Rubis earned you an entry into their weekly draw with numerous chances to win fuel gift cards, groceries, BELCO vouchers or mobile phone credits. Grand prizes included a two-night stay at Fairmont Southampton, $2,000 airline voucher, $3,000 Gorham’s shopping spree and $4,000 in RUBiS fuel. All in all, a great incentive to swipe your tag at RUBiS! For an intimate party space with great ambiance, our judges recommend Tempest Bistro in the heart of the old town of St. George’s. Sure it is a bit out of the way, but the vintage vibe and delectable, French bistro-style cuisine will make for a memorable night. And being a sister restaurant to the uber-popular Mad Hatters restaurant in town, you are guaranteed a good time will be had by all! With a seating capacity of up to 500 in their stunning Harbourview Ballroom, Hamilton Princess & Beach Club has enough space for a spectacularly grand holiday party. Or if you are a small business, you can book a table or two at their hugely popular Annual Snowball Party where you join with others to enjoy a festive night of cocktails, buffet dinner and live entertainment. We also love their special room rates so you can get as festive as you like and take the elevator home. Having a great business that no one knows about is like having a boat with no engine. Sure you may be able to stay afloat, and even row around a bit, but it will take forever to get anywhere. When you have a new business or product to promote or a great website desperately in need of content, our judges suggest entrusting the PR firm The Media Maven to tell your story in an authentic way. 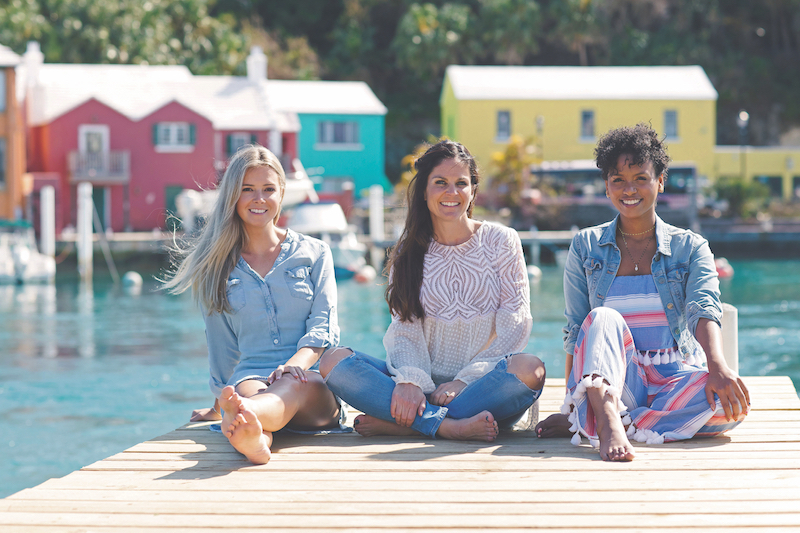 With former journalists Nadia Laws and Robyn Bardgett at the helm, The Media Maven has the right mix of writing talent and local connections to help you set your sails for success. 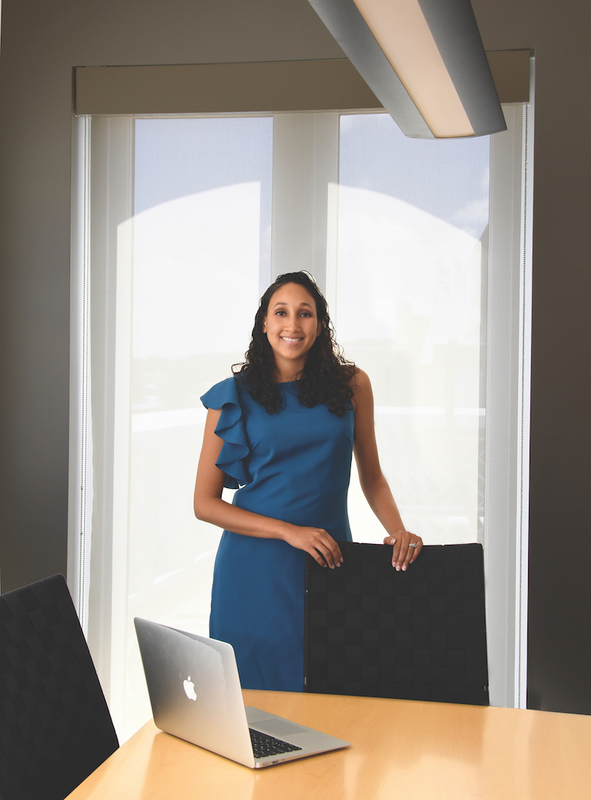 Former PLP press officer and marketing consultant for East End Group, Coy Millett is a PR professional on the rise with the Bermuda Business Development Agency in the communications and marketing team. “He is one to watch for,” said our judges.